Invicta (meaning undefeated or unconquered) was used in Roma invicta meaning "Unconquered Rome" and is the motto of the county of Kent, England. Always wanted to fly online with Vatsim but have always been to scared? Let us help you take that step. Welcome to Invictajet Virtual Airlines! 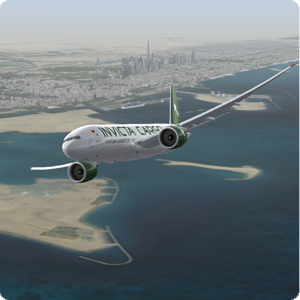 Invictajet Virtual Airlines is based upon the Low Cost idea undertaken by such real world carriers as Ryanair and Easyjet and looks to operate services to “not so well known” airports within Europe and later on World airports. ie We operate to Paris but at present use Paris Beauvais LFOB, this town is not in the center of Paris we agree but it allows our pilots to fly somewhere different and if online, experience a different experience at a different airport than the usual “big airports”. Invictajet VA use the flight following client of VAFS, allowing our pilots to earn money as they fly and build up an extensive portfolio for their careers with Invictajet. We also accept that many of the pilots out there in the VA world are not fans of having something running like this in the background of their flightsim so Invictajet is very happy to let them fly and submit their own reports manually. We try and run the VA like it was a real airline, and hope that you can see this in how we conduct our services for you, the pilot.